Provide comfort for the family of Margaret (Anne) Clark with a meaningful gesture of sympathy. CLARK, Margaret (Anne) - Peacefully at Southlake Regional Health Centre, Newmarket, on Sunday, March 31, 2019, in her 79th year. Beloved wife of the late Robert Clark and dear mother of Denise, Deanna, Ken, Rosie and the late Kevin. Loving Nanny to Julie, Brandon, Allison, Nicholas, Ashley and Autumn. A graveside service will take place at Queensville Cemetery. Special thanks to the caring staff at Southlake Regional Health Centre. If desired, memorial donations may be made to the Canadian Cancer Society. On-line condolences may be made at www.roadhouseandrose.com. 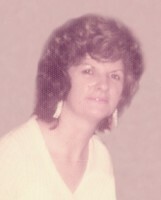 To send flowers in memory of Margaret (Anne) Clark, please visit our Heartfelt Sympathies Store. We encourage you to share your most beloved memories of Margaret (Anne) here, so that the family and other loved ones can always see it. You can upload cherished photographs, or share your favorite stories, and can even comment on those shared by others.